This 4 1/2 inch X 10 1/2 inch Paderno World Cuisine portable raclette has numerous benefits. It works with a flammable gel burner. It can serve two to four people. The set comes with a stainless steel holder, a tray, and a tilting non-stick cheese plate. 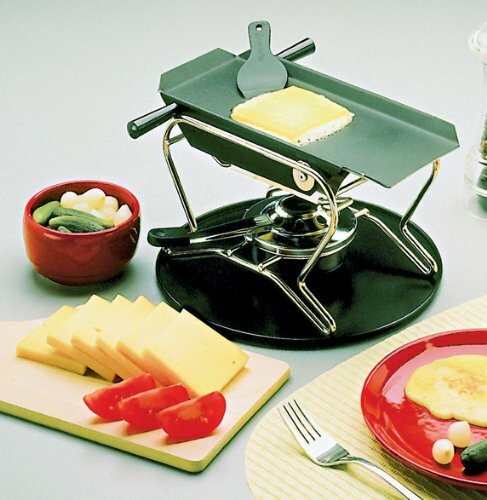 Click the button below to add the 4.5 Inch by 10.5 Inches Portable Raclette Set to your wish list.